Following the demise of Australia’s National Energy Guarantee, things are hotting up in the electrical energy space — with summer outages looming and inquiries into pricing and generation. According to the Summer Readiness Plan recently released by the Australian Energy Market Operator (AEMO), Victoria could see blackouts during extreme weather conditions this summer. 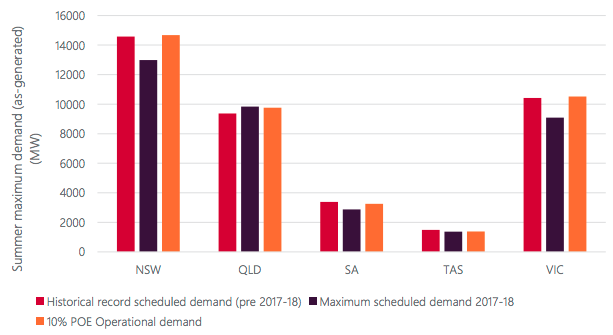 AEMO forecasts a one-in-three probability of load shedding in the state, which might also affect South Australian supply. In a bid to keep outages to a minimum, the market operator has been working to source additional power across Victoria and South Australia. In October, 240 MW was still unavailable for emergency recall within 24 hours, and AEMO is working with the generation owners to “determine any impediments to it being able to operate during the summer period”. 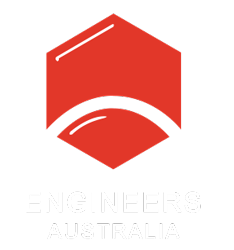 “There are some risks this summer, with Victoria in the firing line, and AEMO are working hard to ensure they cover contingencies,” explained the Chair of the Engineers Australia Electrical College, Mark Lendich. One result of the national energy policy vacuum is the lack of certainty for companies investing in new generation capabilities to ensure there is enough ‘firmed’, or dispatchable, generation capacity. This leads to price spikes when supply is scarce. Dispatchable power has traditionally been provided by baseload coal-fired plants backed up by gas ‘peakers’, and can also come from renewable technologies such as solar thermal. Wind and solar panels connected to storage such as pumped hydro, batteries, or emerging technologies such as hydrogen are also options. In June, the Australian Competition and Consumer Commission (ACCC) recommended that government help finance new generation to keep electricity prices down. While elements of the Federal Government have seen this as a green light for more coal, ACCC Chair Rod Sims has said that the recommendation is technology neutral. In a submission to the recent consultation paper into underwriting new generation investments, Engineers Australia says that it is unclear how the document connected to previous national energy policy proposals. Lendich adds that all options for firming capacity should be considered, and other initiatives such as AEMO’s Integrated System Plan and Electricity Statement of Opportunity should be taken into account. “No new initiative should be done in isolation without considering all these things,” Lendich says. The government has also promised to hit power companies with a “big stick” if they don’t lower prices — including forcing them to sell, or divest, their assets. The Age recently reported that a leaked draft of divestiture legislation gives Treasurer Josh Frydenberg “vast new powers” to order companies to restructure or sign financial agreements. Sims, who was not consulted about the need for divestiture legislation, has previously called it an “extreme step”. Lendich queries the wisdom of going against the advice of the consumer commission. “If the government commissions the ACCC to make decisions they should listen to them,” he says. Parliament and the ACCC are also looking into the National Energy Market, with a Senate inquiry into “fair dinkum power”, and the ACCC set to monitor and report on pricing over the next seven years. Earlier this month, the Council of Australian Governments (COAG) Energy Council released draft amendments to the former National Energy Guarantee (NEG) legislation — now called the Retailer Reliability Obligation. These amendments include the removal of the emissions reduction requirement. The final draft legislation is due to go to COAG for approval in December. In a policy announcement today, the Federal opposition has stated its intention to resurrect NEG-style legislation if they win government, along with a 45 per cent emissions reduction target and 50 per cent renewable energy target by 2030. It will also offer rebates on household battery storage systems. According to Deputy Chair of Engineers Australia’s Environmental College Lara Harland, the cost of renewables and storage are decreasing rapidly. Combined with the lack of stable energy policy, this is leading to a rise in ‘prosumers’ — consumers who install generation such as solar panels and battery storage. Harland says that large-scale government action on emission reduction and ambitious targets are needed to prevent the catastrophic consequences flagged in the latest IPCC Special Report. Renewables are also a growing source of jobs and investment. The Clean Energy Council of Australia reported that 2017 marked “unprecedented” growth in the local sector, with more than 50 projects under construction or funded. “This major investment is often overlooked in its contribution to sustaining an engineering workforce and driving our national economy,” Harland says. Harland adds that renewable energy does not need financial support, but it does need certainty. “Renewables can out-compete fossil fuels given a level playing field. Yes, there are challenges to transitioning to renewable energy, but none that can’t be overcome by good engineering, she explains. Employers say they're open to hiring people with disabilities. This engineering firm is doing it.